Hioki Memory HiCorders are high-speed waveform monitoring and recording devices that can simultaneously measure multiple physical phenomena such as voltage, current, temperature, vibration, weight, acceleration and rotation due to complete isolation between channels and from each channel to the ground. 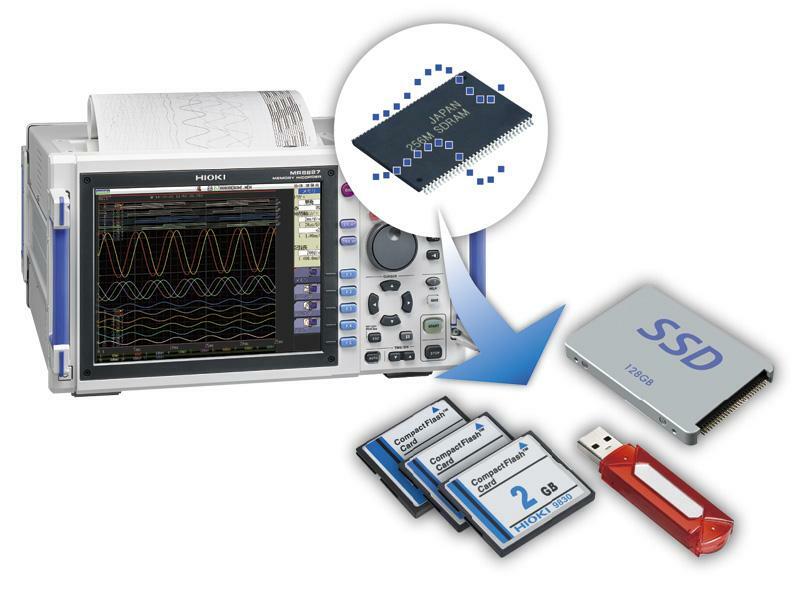 More than just a digital oscilloscope, the MR8827 data acquisition (DAQ) recorder accommodates plug-and-play input modules to meet applications such as trial runs after the scheduled maintenance of railway cars to verify for voltage command signals, motor current, car speed, and brake pressure. 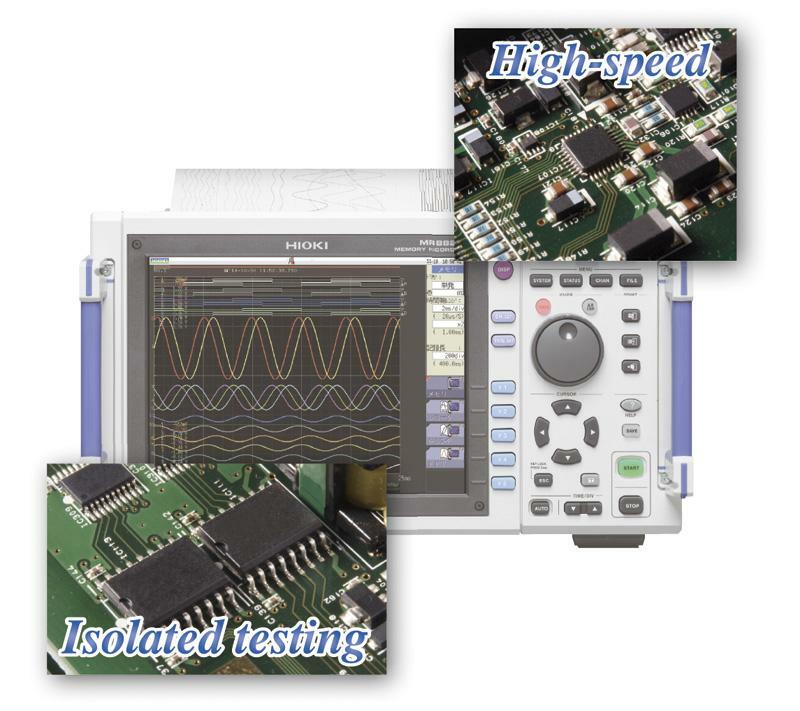 The MR8827 differentiates itself from typical oscilloscopes by providing complete isolation for the input of each channel, and between each channel and the main frame. The Memory HiCorder MR8827 can connect a maximum of 16 moduleson the rear side. Modules can be combined to accommodate input from multiple types of circuits. A maximum of 8 logic probes can be inserted in the main unit. 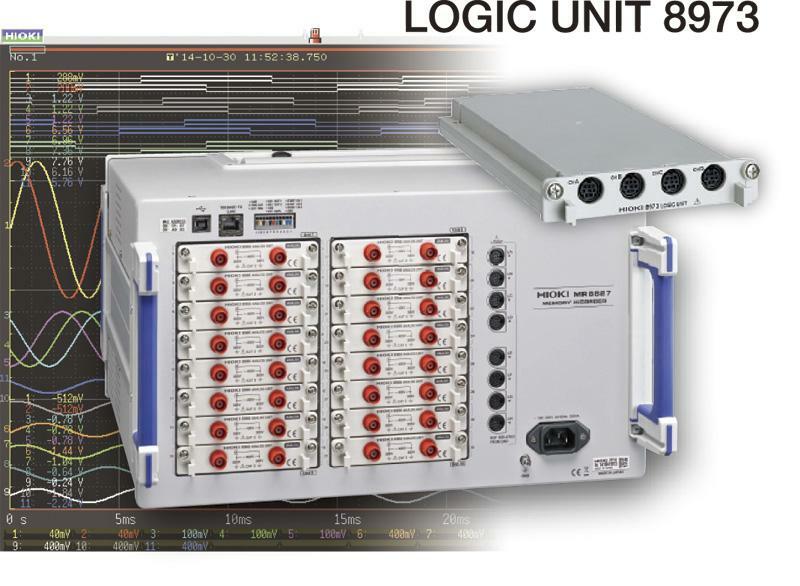 Use of 2 Logic Unit 8973 will add 8 more connections, supporting 64 channel logic signal input. 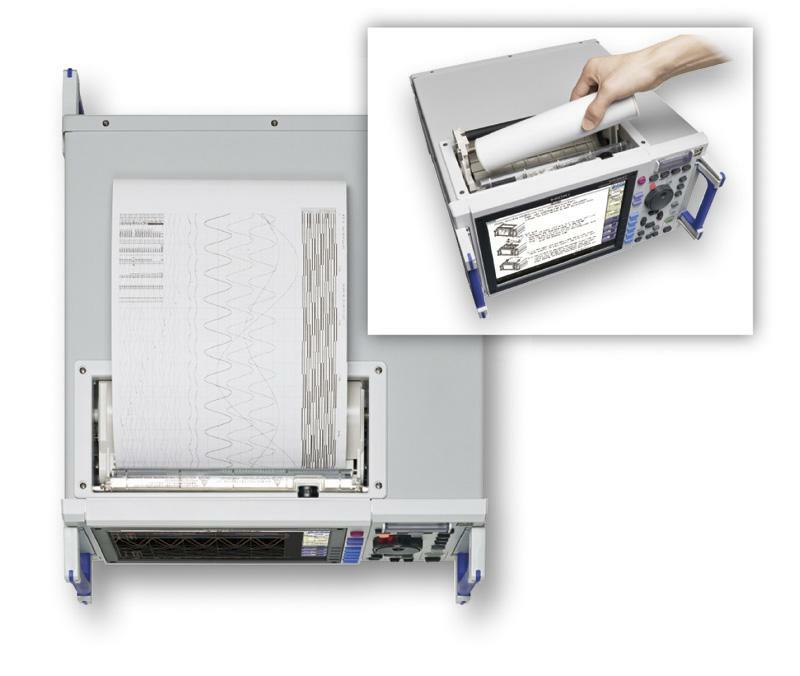 making it easy to check waveforms in the field. Just drop rocording paper in to set it up. 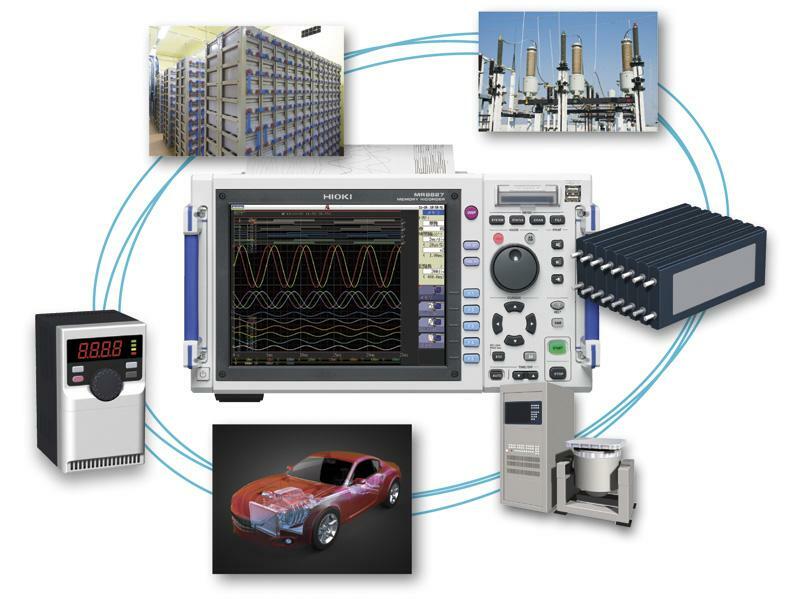 It can be used in a variety of fields, including power, automotive, power electronics, and mechatronics.